Are you a descendant of the assassins? 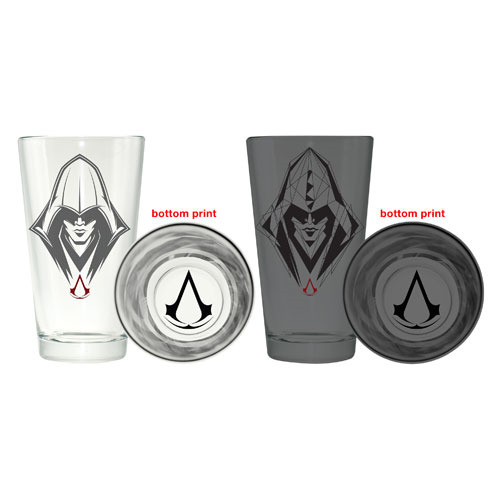 The Assassins Creed Faces Pint Glass 2-Pack features the face of an assassin on one glass, the other has an Animus version of the assassin. Both glasses include the Assassin's Creed logo on the bottom. Each glass holds 16 ounces of liquid. Hand wash only. Not dishwasher safe. Do not microwave. Ages 12 and up.